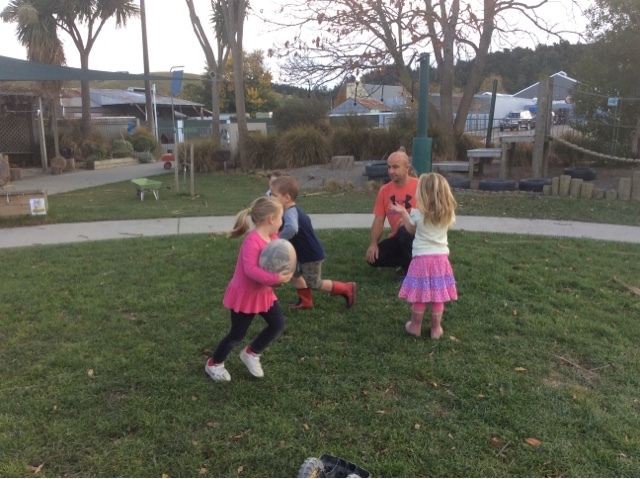 Getting outside with a rugby ball was the perfect physical activity after a morning that continually changed between sunshine and rain. 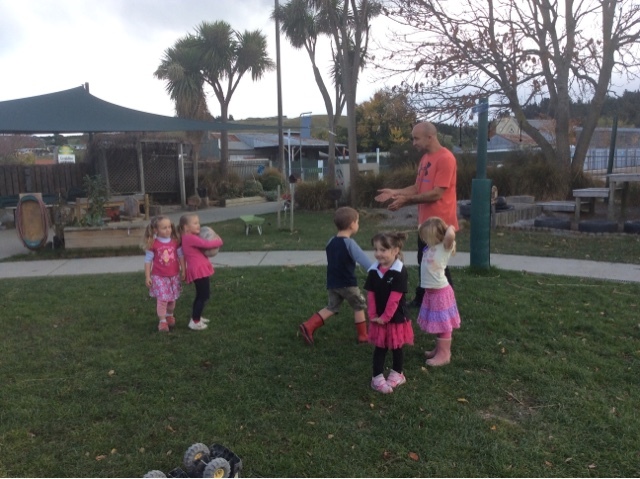 Ben supported the group to stop and listen to one another showing manaakitanga( respect) as they shared their knowledge of the game. Clearly for some Saturday games are part of their family culture, so those that didn't have the same experience soon picked up some of the rules , learning from their peers( ako). 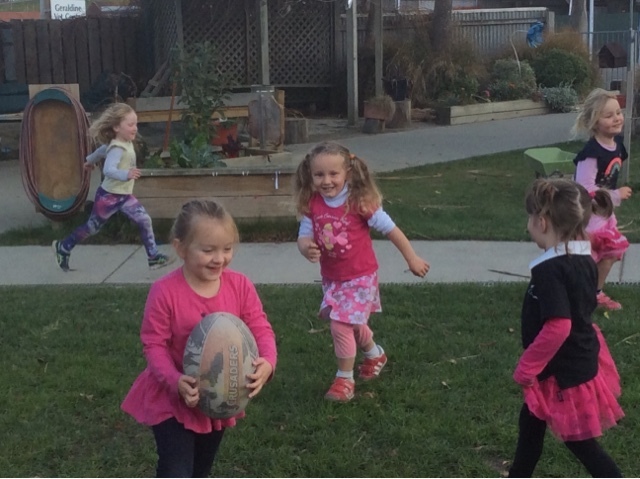 Participating in "team" sports supports children with mahi tahi, working together, respecting and caring for one another, supporting and encouraging team members and learning to negotiate and most importantly it's fun. Ther was certainly lots of humour being shared.